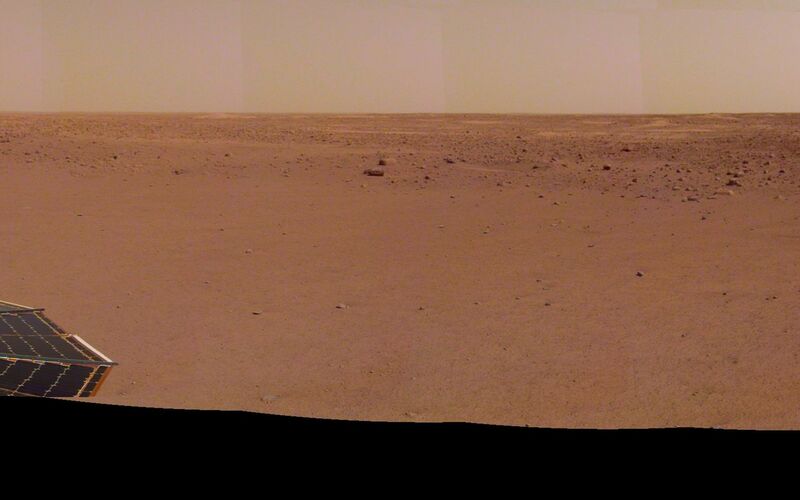 NASA's InSight spacecraft captured this panorama of its landing site on Dec. 9, 2018, the 14th Martian day, or sol, of its mission. 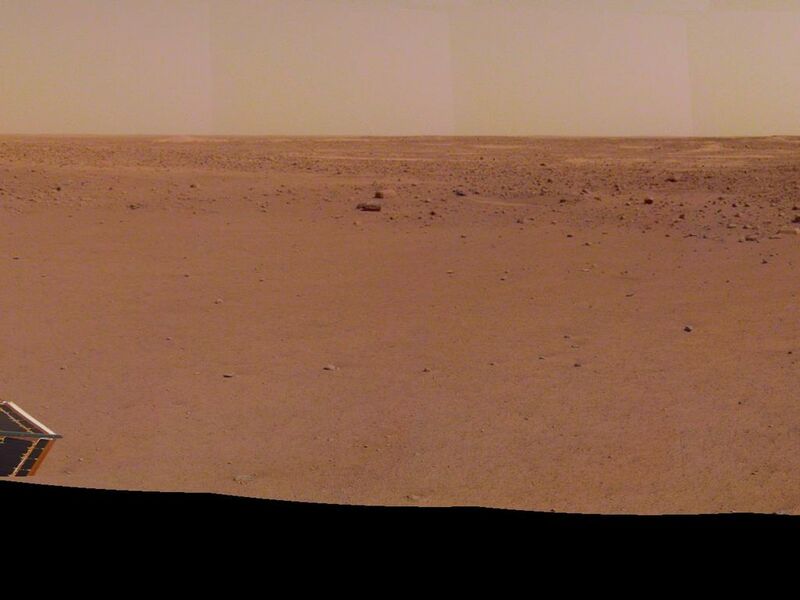 The 290-degree perspective surveys the rim of the degraded crater InSight landed in, nicknamed "Homestead Hollow." 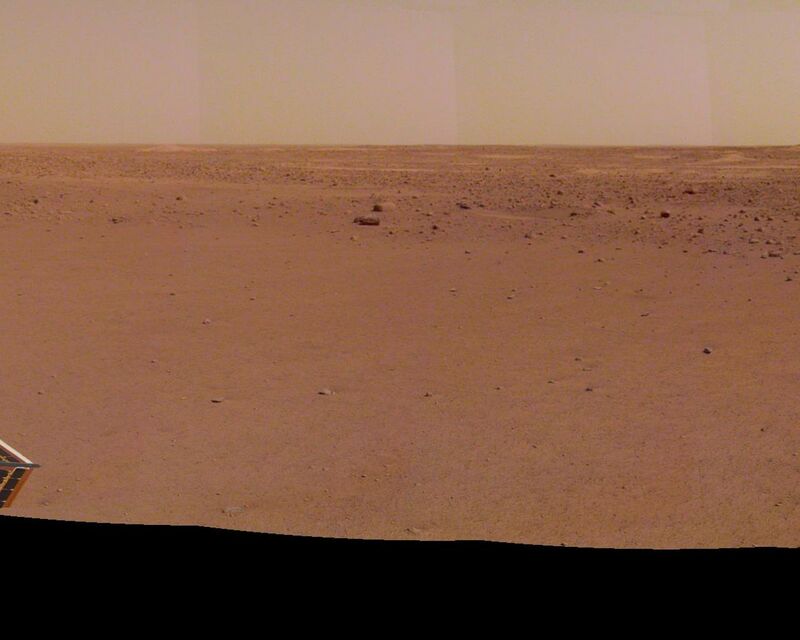 The panorama is made of 30 individual images that were taken by the spacecraft's Instrument Deployment Camera, located on its robotic arm.